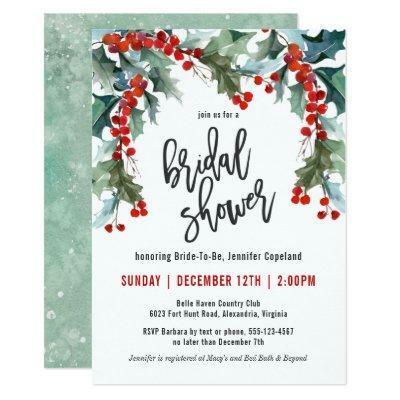 This modern watercolor bridal shower invitation is a perfect choice for bridal showers during the holiday season. It features holly branches and berries in red, green and blue-green. Edit the sample text with your event details.